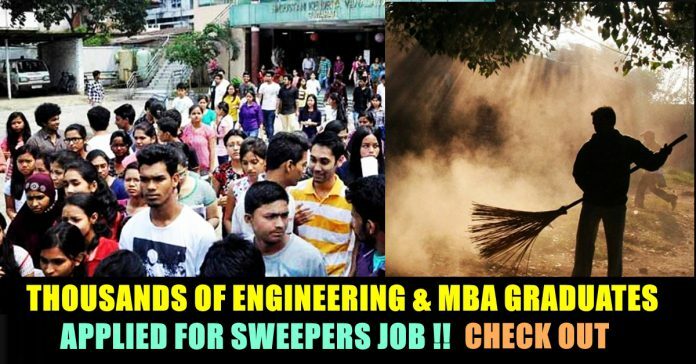 Chennai Engineers & MBA Graduates Applying For Sweepers Job !! Shocking Report !! 23-year-old Dhansingh Arul, a first class Electrical Engineering graduate has applied for the job of a sweeper at the Tamil Nadu assembly. 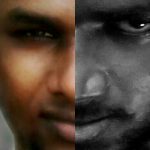 The engineering graduate, daily wage labourer in Tuticorin, has been without a job for four months now. He told NDTV “I am not getting any job. 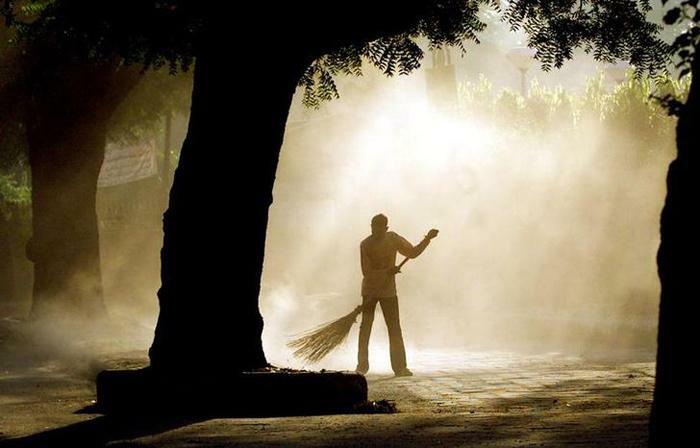 Though I’m an Engineer I can be a Sweeper also when there is no job. That’s why I applied”. Dhanasingh is not alone. Among the around 4,000 youngsters who have applied for the 14 jobs of sweeper and sanitary workers, around a hundred are highly qualified young men and women candidates with MBA, MCA, B Tech, M Com, B Com, BBA and M Phil from across Tamil Nadu. 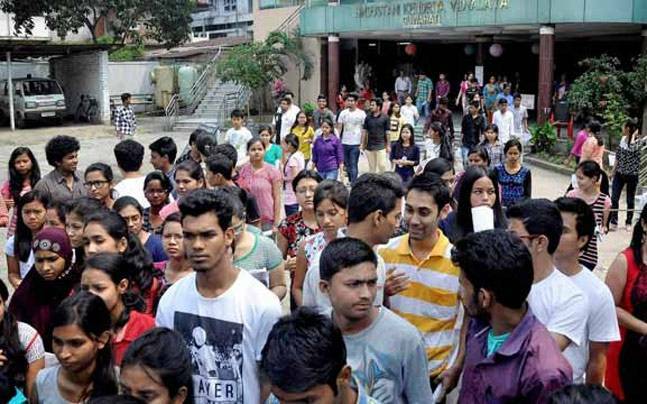 Chennai, the capital city of Tamil Nadu, on Wednesday witnessed an unusual event when hundreds (around 4,600) of youths applied for 14 posts of menial nature. What makes the whole episode more depressing is the fact that the majority of those who applied for the posts like sweepers and sanitary workers were having the professional qualifications like B.Tech, M.Tech, Master of Business Administration. Interestingly, the event comes at a time when ruling BJP-led National Democratic Alliance (NDA) has become the centre of constant criticism by the opposition parties and social groups for failing to fulfill its promise of creating 2.5 crores jobs per year. As per the sources of labour bureau over the last several years the employment growth in India came down significantly during the period between 2012 to 2016 after the slight rise in the employment rate in the period between March 2010 to March 2012. Following this, the labour market saw the sharp decline of employment in 2013-14 of 4.9 per cent and in 2015-16 of 5 per cent primarily owing to sluggish performance of sectors like construction, manufacturing and information technology. Besides, according to a survey of National Sample Survey – which is yet to be made public but has been reported in Business Standard, the rate of unemployment in India has reached up to the level of 6.1 per cent in the period of 2017-18 which is alarmingly highest in the last four decades. The survey further states that among the rural males in the age group of 15-29 years the rate of unemployment was at 17.4 per cent three times greater than the rate of 2011-12 which was calculated 5 per cent. The Modi government refutes this grim job data. 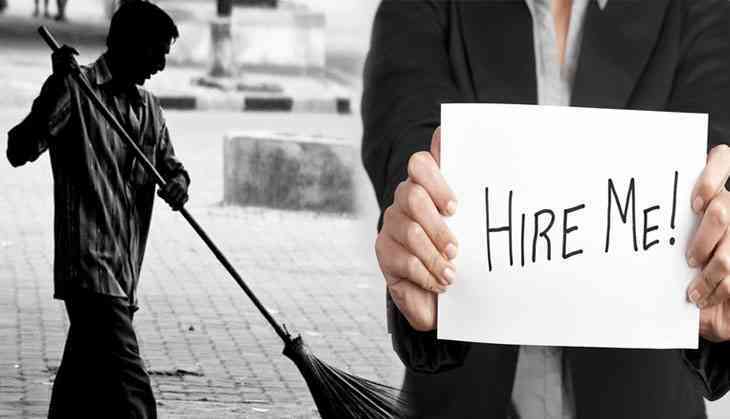 The Economic Times reports that the government will conduct a new national sample survey on employment which will show that there has been ‘substantial job creation’, as confirmed by the PM’s economic advisory council chief Bibek Debroy. PM Modi and Finance Minister Piyush Goyal both cited the EPFO data in Parliament to drive home their point that job-creation has not fallen during the NDA govt era. The EPFO data provides figures on the number of new Provident Funds created in the organised/formal sector. Coming close to elections, the state government calls this “unfortunate” but it wants youngsters to turn entrepreneurs and get self-employed taking advantage of government’s single window clearance scheme. The state’s Minister for Fisheries and Personnel D Jayakumar told NDTV, “Though it is our duty to provide jobs we can’t provide sixty lakh jobs in five years. They should also try private sector. Youngsters want only government jobs as they feel it’s a secure job”. 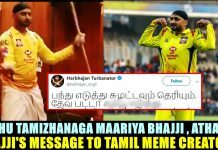 Previous articleThis Tamil Actor Brutally Trolled Narendra Modi Directly In Public !! 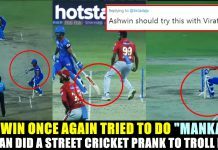 Just Hilarious !! 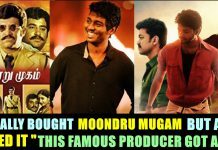 Next articleProbably The First Actor To Give Opinion On Sivakumar’s Cellphone Issue !! Check Out ! !